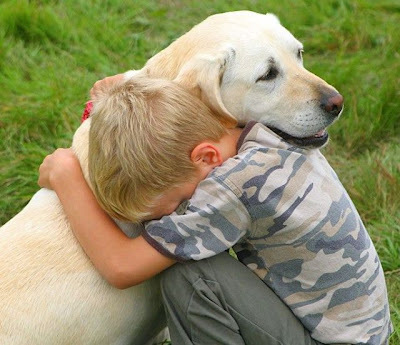 Patting a dog can help to lower blood pressure. Pet owners have significantly lower blood pressure and heart rate both before and while performing stressful mental tasks. People recovering from heart attacks recover more quickly and survive longer when there is a pet at home. It seems as though their mere presence is beneficial. When agitated dogs can help people alter their behavior. We calm down when we are with our dogs. We slow our breath, our speech and our minds. We don’t hit as much at others or remain annoyed at ourselves. Pets are like great movies or books. They take us out of our heads and into another reality, one that involves food, water and affection; being less in your own head and thoughts. The healing power of touch is undisputed. Research indicates a 45-minute massage can decrease levels of the stress hormone cortisol and optimize your immune system by building white blood cells. Hugging floods our bodies with oxytocin, a hormone that reduces stress, and lowers blood pressure and heart rates. And, according to a University of Virginia study, holding hands can reduce the stress-related activity in the hypothalamus region of the brain, part of our emotional center. The touch can actually stop certain regions of the brain from responding to threat clues. It’s not surprising, then, that stroking a dog can lower blood pressure and heart rate and boost levels of serotonin and dopamine. 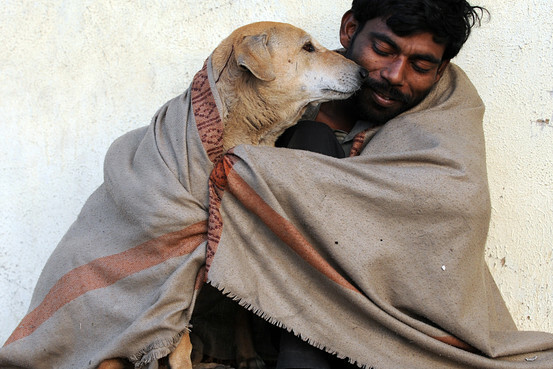 With pets come great responsibility, and responsibility and promotes mental health. Positive psychologists assert that we build our self-esteem by taking ownership of a task, by applying our skills to a job. When we succeed, for example, looking after your dog’s needs, we reinforce to ourselves that we are capable of caring for another creature, as well as ourselves. That’s why chores are so important in teaching adolescent’s self-mastery and independence.